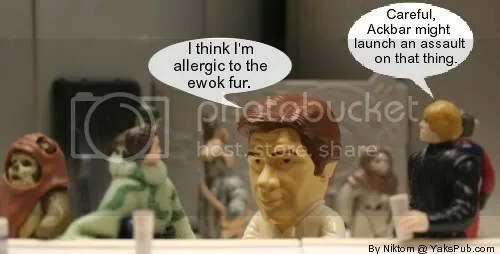 I like how Luke’s head is pointed away from Han; it adds a very sarcastic and comedic tone to his comment. LOL. Those BK figures are pretty cool though. I hope they do some more later in the year for 30th anniversary.